To read about our philosophy of social media, you need only peruse our blog posts. In a nutshell, we use social media platforms to direct potential and current customers to our clients’ websites, where a distinct call to action is made. 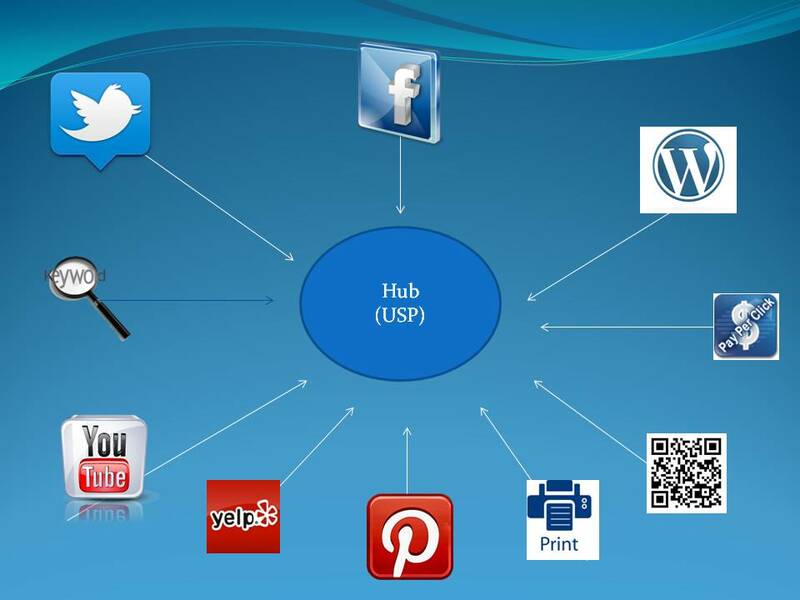 Your hub is your well-designed, interactive, dynamic website. All Internet traffic should be directed to it. For each of our clients, we use social media accounts as online tools to direct traffic to our customers’ hubs. The platforms we choose for your account will be based on your target market, unique sales proposition and your sales goals. Call today for a complimentary consultation. (909) 336-3333.